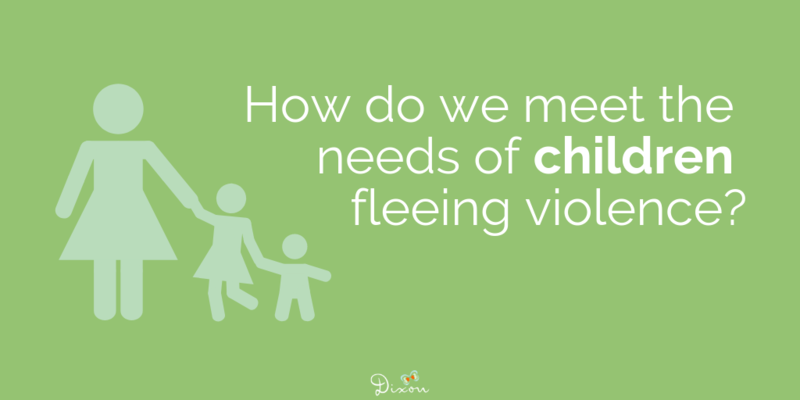 How do we meet the needs of children fleeing violence? Women come to Dixon Transition Society seeking shelter and guidance after escaping violence. Many of those women are mothers, and raising a child is hard as it is. Experiencing trauma while raising a child (or being a child) is a different challenge entirely. How does Dixon support the moms who come through our doors? And what about the children? In coming to Dixon, kids might have to leave behind beloved toys, books, pets, or other family members. More than that, many of the kids who come to Dixon’s facilities have often witnessed violence, if not directly experienced it. Their needs need to be met, too. We provide services specifically for the children we serve, and we design programs with kids in mind. Both Dixon House and Wenda’s Place have Child Support Workers on staff who are responsible for supporting mothers, as they support their children through this challenging transition. We can and do help, but it’s important to remember that it’s mom who’s driving the car. We’ve just got the road map. Children might act out when they first arrive at the House, and this issue can be difficult for moms to address, for a number of complex reasons. The Child Support Worker supports the mom with this process, if she likes, by helping her reset boundaries with her children while engaging in difficult, but respectful, conversations. The Child Support Worker can also help with other practical concerns like making referrals, filling out forms or documentation, and so on. Children at Dixon can attend workshops and activities like arts and crafts workshops, story time, baking, games, and outdoor activities. The Child Support Worker also helps with homework, and getting enrolled in school or transitioning to a new school. At Dixon House, there is a playroom full of toys and books for kids to enjoy. At both Dixon House and Wenda’s Place, there is a playground for kids to get their wiggles out. There, they can just be kids, and play with each other. We make sure that every child has a birthday card and a small gift, so they know that we’re thinking of them and wanting them to feel special on their special day. In the summer, we also offer a great summer program with activities like barbecues, picnics, and field trips to places like Science World, the bowling alley, and many others! It really does take a village to raise a child. At Dixon, we strive to be that village. For many of us, the last few months of the year is a time to get together with friends, family, and loved ones. This is true at Dixon, too. Every holiday season, we witness the incredible power of kindness, friendship, and generosity. A number of individuals and community partners reach out to Dixon every year to get involved in some way, and we would love for you to join us! Here’s an overview of what’s happening this winter and how you can get involved. Do you remember being a kid and waking up Christmas morning before even the crack of dawn, running into the living room to see what Santa had left? The tree is lit, wrapping paper crinkles under little scurrying feet running to grab the next present. It’s magic. At Dixon, we make sure our Christmas isn’t any different. Our families have experienced a whole array of circumstances in a year, so why not give them at least one day to celebrate provision, love and abundance? Our holiday sponsorship program has grown so much over the past few years, thanks to a number of dedicated community partners and donors. These folks are “Santa” for the families at Dixon. As a sponsor, you agree to take on a wish list(s) from a Dixon family (or families!) and play “Santa” for them this holiday season. In late October, we send you the wish lists, and you spend November shopping. We will arrange a time in the first two weeks of December for you to drop off the gifts at our head office. Then, on December 25th, Dixon families experience the magic of a Christmas morning, thanks to you. Read more about the incredible impact that you, as a holiday sponsor, can have on the women and children at Dixon. Are you ready to put on your white fur-trimmed red jacket and pants? Become a holiday sponsor. This always joyous event is happening on Sunday, December 2 at the Sanctuary at Brentwood in Burnaby. Each year we welcome locally renowned artists Miles Black, Glenda Rae, and Brett Wade to put on a fantastically festive show, while we host a silent auction and happy hour with wine and refreshments. Tickets for the event are on sale now! All of the funds raised at the event go to Dixon House to help cover things like basic household supplies, food, workshops, and other essential supports. Clients have access to all these supports at no cost. Dixon will recognize all sponsors on our website and social media, on promotional material and at the event itself. Above all, sponsors play a key role in providing support for moms and children fleeing violence this holiday season. Find out more about sponsoring Dixon’s 7th Annual Christmas Jazz Concert. We do what we can to help Dixon families celebrate the season. One of these ways is putting on small holiday celebrations for our current clients. As much as possible, we also try to include clients who have recently transitioned out of our facilities. Your first holiday season living independently can be hard! We like former clients to know we’re thinking of them, so we invite them to celebrate the season with us. If you are interested in providing funds for the food and other cheerful touches for these small parties, as well as shopping for the items and potentially helping to set up or serve on the day of, get in touch! It seems so obvious, and yet it is so helpful. Your dollars are what make the hopes and dreams of the women and children we serve into reality. Any questions about getting involved? Do you have an idea about how you want to help out at Dixon this year? Get in touch! We want to hear from you. 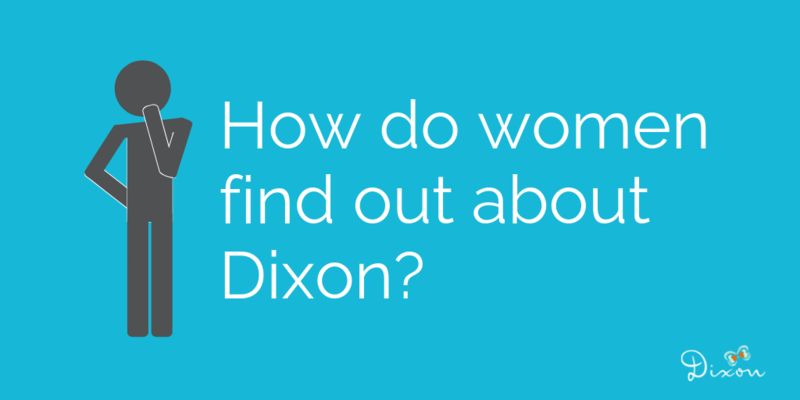 How do women find out about Dixon? We get this question a lot from donors and community members. Given the nature of our work, confidentiality is of utmost importance to us. So how do women fleeing violence know we exist? If you look up “transition house” or “women’s shelter” in “Burnaby,” Dixon is pretty easy to find. Our information comes up right away, and then women can call us or leave a message on our website. The police certainly know about us, so if women call the police in a domestic violence situation, then the police can refer them to us. Victims do not have to report to the police to access community-based services like ours. VictimLink BC is a toll-free, confidential telephone service available across B.C. and Yukon 24 hours a day, 7 days a week. If a woman survivor of domestic violence calls that service, Victim Services can then refer women to us. There are also other social services and help lines which operate similarly and can refer women to us. We have found that many women who take part in our programs share a longing to tell their stories to women who might be fearful or wary of leaving their abuser. Women in our programs have a community. While they may have once felt alone and isolated, they are now surrounded by a community of women with shared experiences and find themselves ready, and even excited, to tell their stories.